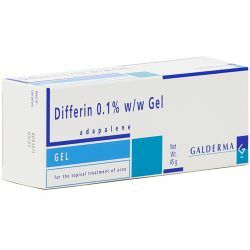 Differin Gel is a white gel containing the active ingredient Adapalene. Adapalene is an anti-inflammatory which is used to reduce soreness and irritation caused by acne. It can be used on the face, chest or back. Differin Gel is intended for use in adults and adolescents aged 12 years and over. Differin Gel should be kept out of reach and sight of children. It should not be stored above 25 degrees celcius. When using Differin Gel, you should follow the instructions given to you by your doctor. Differin is for external use only. Thoroughly wash the areas to be treated with water. Make sure the skin is clean and dry before using Differin. Put a thin film of the gel with your fingertips on to the affected areas and rub in gently. Wash your hands after use. The length of time you will have to use Differin depends on how quickly the acne improves. After you have used Differin for 3 months, it is important to see your doctor. If you use more Differin than recommended, it will not help get rid of your acne any quicker, but it may causes your skin to become irritated and red. Some peeling or discomfort may also occur. If you forget to apply the Differin, do not worry, just apply the gel when you next remember, the same way as before. If you accidently swallow any of the gel, seek medical advice immediately. The active ingredient in Differin Gel is adapalene. Other ingredients includecarbomer 940, propylene glycol (E1520), poloxamer 182, disodium edetate, methylparahydroxybenzoate (E218), phenoxyethanol, sodium hydroxide and purified water. Differin Gel should not be used if you are allergic to any of the ingredients in the medicine. 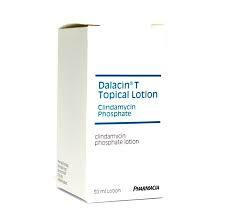 You should not use Differin on areas where you have cuts, scrapes, sunburnt skin or if you have the skin condition eczema. Avoid contact with the eyes, mouth or angles of the nose and other sensitive areas of your body. If accidental contact does occur, wash immediately with warm water. You should avoid exposure to strong sunlight and artifical UV light. Use of sunscreen products and protective clothing over the treated area is recommended. 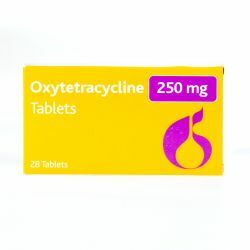 Other acne products, containing benzoyl peroxide, erythromycin or clindamycin, may be used with Differin, but they must be applied in the morning and Differin at night. Cosmetics may be used, but they must not cause blackheads or dry the skin. You should make sure to mention if you are taking any other medicines, including medicines obtained without a prescription. Differin should not be used during pregnancy. If you fall pregnant whilst using Differin, the treatment must be stopped and you should inform your doctors as soon as possible. Differin can be used during breast feeding. To avoid contact exposure of the infant, application of Differin to the chest should be avoided. Differin contains the ingredients propylene glycol (E1520), which may cause skin irritation and methyl parahydroxybenzoate (E218), which may cause allergic reactions, possibly delayed. As with all medicines, Differin Gel can cause some side effects, although not everybody gets them. If you find that you are getting some of these effects, you should speak to your GP. If you experience sensitivity or irritation when applying Differin, stop using it and tell your doctor. You may have to use the cream less often or stop for a short time. 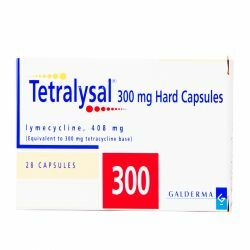 Common side effects include dry skin, irritation of the skin, burning sensation of the skin or redness of the skin. Uncommon side effects may include local skin reaction, skin discomfort, sunburn, itching of the skin, peeling skin or a flare up of acne. Other side effects include pain or swelling of the skin and irritation, redness, itching or swelling of the eyelids. If any of these side effects get serious, or you get side effects not listed above, please speak to your doctor or pharmacist.